A group of people are trapped in a gas station by a spikey parasite monster in this grisly creature feature. A young couple retreats to the wilderness for a romantic camping weekend, but their idyll is shattered when they are carjacked by an escaped convict and his girlfriend on the run from the police. As the foursome travel the back roads together, each plotting their next move, they find themselves in deeper trouble than any of them could have imagined when a blood-crazed creature that absorbs the corpses of its victims gets the two couples in its sights. i have never been much of a fan of creature type movies but this one was good. Definitely give it a go! great monster flick. 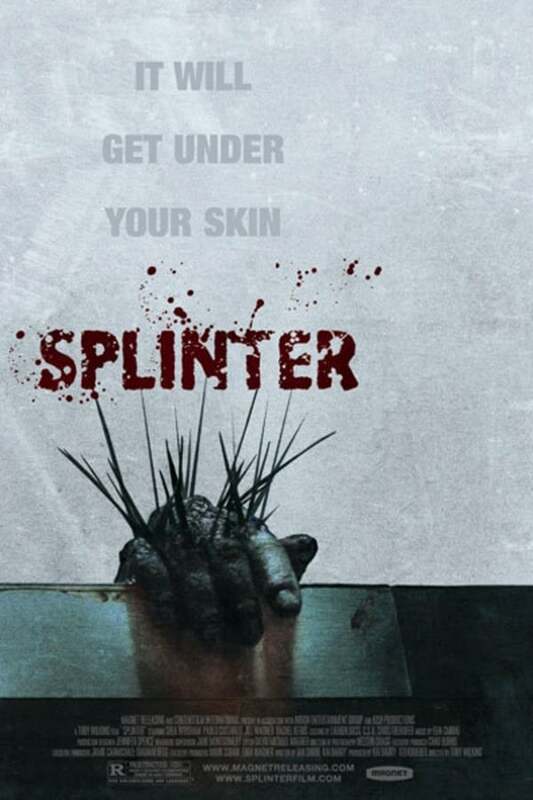 not the best movie to watch if you have a splinter in your finger. 3 Skulls for a great Lovecraftian monster while still being.100℅ unique. -1 skull for agregious screaming at the screen moments in the finale. Pretty good. Creepy with weird creatures what more could you ask for.